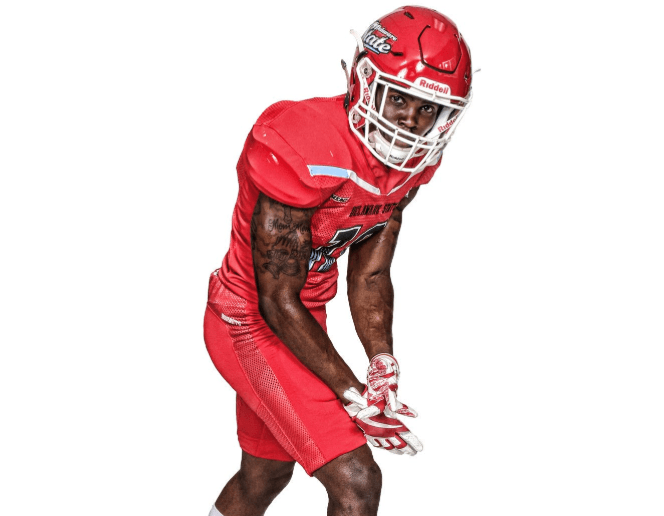 Delaware State has not had a wide receiver like Taronn Selby in years. Guys like Justin Wilson and Travis Tarpley the former Hornets would be proud of Selby’s play. * I’m from Bear Delaware, it’s a small city where everyone knows each other. Everyone is supportive of one another especially if your chasing a dream. * Film Study, this is most important because it allows you to learn your opponent, it gives you the ability to figure out different techniques and tendencies that your opponent uses. Next is practice, this is where you really get to play the game before game day, you get real game reps, and get to physically prepare yourself. Lastly is Strength and Conditioning, I put this last not because it’s not important but because this is really just physically preparing your body for the season or a game and helping to prevent injury. Film study, and putting into action during practice is preparing your mind so when it comes to the actual game of football, film study and practice is most important then Strength and Conditioning. * I worry about not being able to provide for my family. I have no option but to be successful because I know I have my family depending on me to make a way. * My Goal coming into college was to start WR as a true freshman, I wouldn’t say that I necessarily failed at not accomplishing this but I had to show my worth on special teams before starting to gain my coaches trust. * My teammates would say that my best quality is easily my work ethic. I refuse to be out worked in anything that I do and honestly I feel like that’s what separates me. * The best player I’ve played against in college is going against my twin brother everyday in practice. * If I couldn’t play football I would be running track. I was an All-American in the 100m dash, as well as the 4×1 and 4×4 relay. I’d also open my own training facility where I’ll do speed training for the youth. * Definitely my room, I feel like your room should always be clean because it is a representation of you. * One family member for sure, I’m very family oriented, my family is all that I have and have the deepest love for. Family over everything has been my motto my whole life. * I would be Dwayne “The Rock” Johnson, He seems like a really motivational person, always encouraging people to put in hard work, and be the best version of yourself. * Getting over the death of my grandmother before the start of my senior year of high school. I overcame it with a lot of prayer and family support. * My most important trait is my work ethic and this will definitely help me succeed at the next level because I refuse to be out worked and knowing how hard my parents work for me makes me want to got even 10x harder. * My grandmother, I just want her to be apart of this journey with me, see how far I’ve come, I know she’d be so proud. * I may sound cliche but I feel like everyone is good at what they do, they are in the NFL for a reason. * Respected for sure, respect goes a long way in this world. If there’s anyone who may not like me, I know for a fact that they respect me. * Michael Vick, Mike was changing the game of football and leading the way for a whole new generation of quarterbacks. It’s unfortunate what happened because honestly he wasn’t even in his prime yet. * Definitely hate to lose. Winning feels like your supposed to do it like it’s expected. * My Parents, seeing how hard they work makes me go so much more harder, everything that I do is for them.